Description: Me & My Big Ideas Soft Spoken Stickers are self-adhesive, dimensional embellishments. 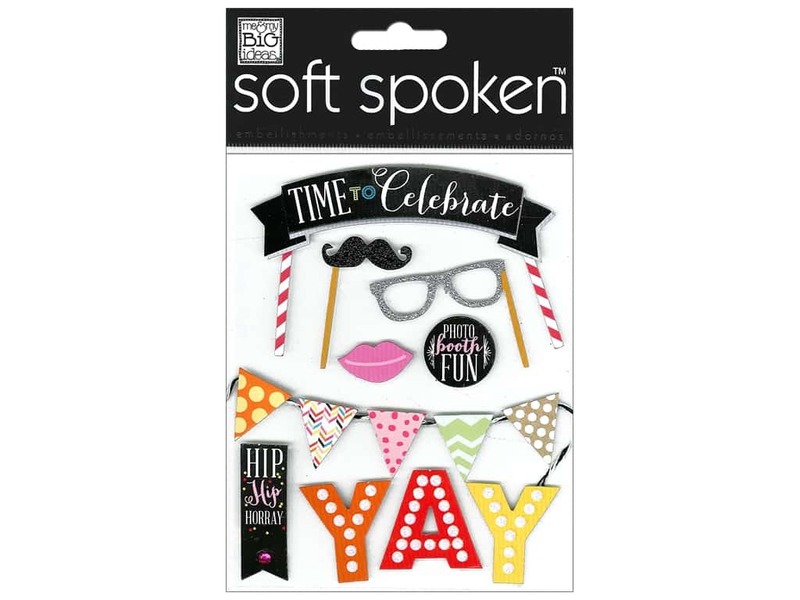 Time To Celebrate Soft Spoken Stickers are epoxy word stickers that include designs of a moustache, glasses, lips, banner and captions of "YAY", "Time To Celebrate" and more. Colors are Black, White, Red, Green, Teal, Silver, Orange, Yellow and Pink with glitter and rhinestone accents. 14 pc. See more Me & My Big Ideas Soft Spoken Stickers.